Incidentally, Germany, Norway, Netherlands and Australia too have lady Defence Ministers, while in as many as 10 countries this has been the case in the past. 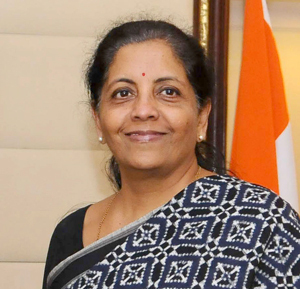 She is a seasoned politician who as MoS (Commerce & Industry) she had overview of the governmental defence-industrial sector; the chapter on defence on official website of Ministry of Commerce and Industry post her assuming that appointment stating 50% of equipment held by Indian Military is obsolete and the 33% provided by the DRDO is sub-standard. Nothing much has progressed beyond the Make in India, which though in process of taking off, is still unshackling the red tape. But, at the cutting edge where daily battles are being fought daily, the soldier is completely neglected; ill-armed and under equipped, downgraded in pay and allowances, even humiliated. What the new defence minister needs to do is to address the hollowness of the military. 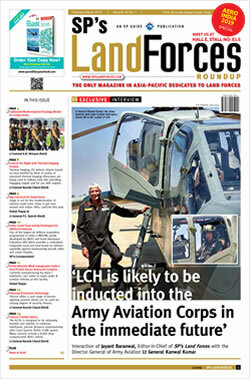 There is urgent need to initiate the process to define a National Security Strategy (NSS) and a Comprehensive Defence Review, the void of which has resulted in haphazard procurements and disjointed attempts at reforms; one example being the recently approved 'selective army reforms' discussed separately in this publication. Defence Minster Jaitley recently stated that military power is key to a nation's rise to super power status, but military power cannot be built on 'negative' defence budgets; the current and previous one being in that category. We need to relate the defence budget to operational requirements, which in turn must be based on the NSS and CDR. The pre-budget planning needs to incorporate the Parliamentary Standing Committee on Defence – same as in the US; military presenting budget requirements to the Committee based on present and required operational capability, and the Committee projecting to the government. Where the US President goes to the Senate for funds, why should we continue with the defence budget based on the whims and fancies of the Finance Ministry? Adhoc measures like allotting 20,000 crores to make up part deficiency of ammunition in face of Doklam standoff, and enhanced financial powers to chiefs, vice chiefs in overall 'negative' defence budget are no solution. There is urgent need for the higher defence organizations including the MoD to be reorganized. Unless there is 50% military representation 'at all levels' in MoD, nothing will likely change. The solution is merging HQ Integrated Defence Staff (IDS) with MoD which was the premise on which latter was raised but stymied by the bureaucracy. The CDS was required years back, but appears shelved. Besides, the CCS note on which HQ IDS was raised reads, "As and when the CDS is established, he will have equal voting rights as the Service Chiefs, and if two Service Chiefs disagree, MoD will arbitrate", implying the CDS can hardly speak as one voice to the government. The CDS is required more to ensure military synergy and oversee the much needs Revolution in Military Affairs (horizontally and vertically) under directions of the political authority to provide military synergy and enhancing all round combat capacity. As part of RMA, due emphasis is also required in cyber, space, and electronic warfare. The military needs to be integrated into such programs at the national level, if not in the vanguard like the US and China. The new deffence minister should push for early establishment of the CDS. The DRDO should be charged with and concentrate on R&D for future technologies, not production. The recent sackings in OFB will alter the output little. The DPSUs and ordnance factories need to be privatized. Successive CAG reports indicate that major surgery is needed here, not cosmetic measures. The Western Theatre Command of China is responsible for China's borders with Myanmar, India, Bhutan, Nepal, PoK and Afghanistan. In sharp contrast, India's international borders are manned by a variety of forces, not under one command. While placing all international borders under the army may be anathema, at least all these borders should by under the MoD, as is the case of the Indian Coast Guard. This would also address the neglected border infrastructure. Besides, in terms of hybrid threats we have a volatile neighborhood with borders exploited by the anti-India China-Pakistan combine. Finally, the new defence minister needs to exert her authority for officially being charged with the defence of India, instead of the Defene Secretary under existing Government of India AOB AND TOB Rules 1961, which must be amended. All these issues, the defence minister would do well to address.